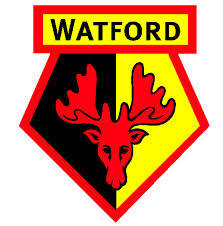 Watford Football Club was formed in 1881 by Henry Grover, who was also a left-back later on at the club that he created. In 1886, Watford entered the FA Cup for the very first time and then around 10 years later, they competed in the Southern League for their first in their brief history up to that point. 34 years after they came into existence, Watford won their first and only Southern League championship, with Harry Kent managing that side. Unfortunately, due to a very tight budget back in that day, was forced to sell a lot of their key players. Also because of the small wages, he would scout local players often from non-leagues and from around the area. Five years after their Southern League championship, Watford joined the Football League to play tougher opponents and increase their reputation as a club. In 1922, Vicarage Road became the Hornets permanent home after bouncing around for a while and they continue to play their nearly 100 years later. The Hornets would, however, spend most of the clubs first fifty years in the Football League in the lower parts of the leagues. While the club was down there, they changed crests and club colours very often before they finally settled on an identity. Graham Taylor brought Watford to their highest standards after nearly 100 years in existence. Taylor achieved promotion in his first year as manager bringing them to the third division after Sir Elton John named him Mike Keen’s successor in April of 1977. During their fourth division championship, the club recorded the most wins, fewest defeats, most goals scored, as well as the fewest amount of goals conceded that season. Taylor’s side was promoted once again to the second division as front man Ross Jenkins, native of London, finished that season as the top goal scorer netting 29 times for the Hornets. The next two seasons in the second division they finished in 18th place and then 9th place, but the 1981-82 season saw them be promoted, but they finished second in the league behind champions and rivals, Luton Town. In just five years, Watford had climbed from the fourth division to the top flight of the Football League, all under Graham Taylor, which is quite an amazing achievement. Watford continued to dominate even in the first division by winning their first four out of five matches. At the end of the season, Liverpool had dominated to win the title, but Watford finished second place to secure a spot in the qualification for the UEFA Cup. The following season saw Watford lose to Everton in a classic FA Cup final game. Taylor left Watford at the end of the ’87 season to manage Aston Villa after a mid-table, 9th, place finish. Graham Taylor’s replacement, Dave Bassett won only four matches out of their first 23 and was subsequently sacked in January of that season. Steve Harrison took over for Bassett, but in the end, could not avoid relegation and did not come straight back up to the first division the season after they lost in the playoffs. The closest Watford came to being promoted was a 7th place finish in Division One. Watford were relegated again in 1996 to Division Two and would struggle for quite some time. Watford appointed Graham Taylor as Director of Football and was appointed as manager for a second time after Kenny Jackett, former player, was demoted after a mid-table finish. After two successive promotions Graham Taylor found himself once again in the Premiership season, but this time it was the first time Watford had played in the new Premier League. Despite a strong start to the season when they defeated Liverpool, the club finished dead last in the table and Graham Taylor decided that it was time to retire. The Hornets were facing administration during the 2002-03 season and it was not until the club reached an agreement with the players and staff to reduce their wages by up to 12%. Boothroyd helped Watford avoid relegation to the second division after a poor league form did not improve despite reaching the semi-final of the League Cup in 2005. They gained promotion to the Premier League after finishing 3rd and defeating Leeds United in the play-off final in Boothroyd’s first full season at the helm of the North London club. And once again, they reached rock bottom of the Premier League with winning just 5 matches the entire season after Ashley Young was sold to Aston Villa for a club record. Gianfranco Zola, former Chelsea legend, is currently at the helm of the Hornets and reached the play-offs of the Championship this past season and will hope to build on his recent successes. On September 5th, 1882, Hotspur Football Club was formed from boys in the All Hallows Church Bible class, who were also members of the Hotspur Cricket Club. To avoid confusion with the already established team, Hotspur FC, the club changed their name to Tottenham Hotspur Football Club. Originally, the club varied its colours from navy-blue to other various shades of blue, to red shirts and blue shorts, to just about every colour that had ever existed. Tottenham finally settled down to a location near High Road and the stadium became known eventually as the White Hart Lane. Players from the north came to play at Tottenham early on as the northern professional game faced unionsation in the 1890s. Because of this Tottenham won the Southern League championship and the following season they won the FA Cup, becoming the only non-League club to do so since the formation of the Football League. Tottenham immediately gained promotion to the First Division as runners up as the Second Division after they won election to the league. The club that played at White Hart Lane won their first ever championship after being promoted back to the first division in 1950, after the Second World War, under manager Arthur Rowe, who developed the push and run style of football. This type of football proved to be effective because the players moved the ball at pace where the players were positioned and the movement was very fluid. 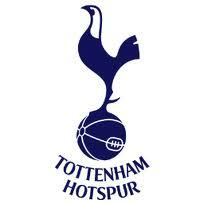 Players like Alf Ramsey, Ted Ditchburn, Len Duquemin, and Bill Nicholson helped win the First Division. Injuries and adaptability of the clubs saw the Hotspurs success decline once again, despite finishing second a couple of years later, only losing the title to Manchester United’s goal average. The 1980’s started out very well for the Spurs as they lifted the FA Cup by defeating QPR in 1981 after a nice run in the cup to start this decade. The boys from White Hart Lane were in contention for four other trophies that season but were denied in all of them, unfortunately. Tottenham were in contention for the First Division title up until Easter and eventually finished fourth, with Liverpool being crowned champions. Liverpool also took away the League Cup in extra time from Tottenham. Barcelona defeated the Spurs 1-1 at home in the Cup Winners’ Cup semi-finals. Because of the Heysel disaster on May 29th, 1985, where 39 spectators were crushed by a wall when Liverpool fans rioted at the European Cup final saw all of the English clubs banned from European competitions indefinitely. Tottenham qualified for European play that season, but because of the incident were unable to compete. The early 2000s saw Glenn Hoddle, Tottenham legend, take over as the main coach in April of 2001 when the team was in 13th place in the table. Hoddle’s first match in charge was a defeat to Arsenal in the FA Cup semi-final. After expressing his desire to stay at Tottenham, Sol Campbell, the club captain, moved to Arsenal on a Bosman free transfer shortly after the season had ended. After his transfer to their rivals, Campbell was vilified by the club after that after not even giving the Spurs money for his transfer. The 2001-02 season saw Tottenham finish in 9th place, even after using experienced players such as Teddy Sheringham, Gus Poyet, and Christian Ziege. Tottenham also reached the League Cup final again, but were beaten by the Blackburn Rovers, despite being heavy favorites. The next few years were pretty average as well, finishing mid-table it seemed time after time again. Andre Villas-Boas is currently managing the Spurs. They finished in 5th place last season losing out to Arsenal for the final Champions League qualification spot again. Rumors going around the last few days are saying that highly rated Brazilian midfielder, Paulinho, will sign for the club after the Confederations Cup final and will keep Gareth Bale for the foreseeable future. So the future certainly looks bright for Tottenham, they just need someone who can score goals on a regular basis. Arsenal was founded as an amateur club back in 1886 by a group of workers from Woolwich and gained professional five years later in 1891 and just two years later they joined the Football League. Arsenal was the first Southern club to enter the League, joining the Second Division. Some of the amateur players did not like the professional status and because of that they left the club to form their own alternative club. Arsenal stayed in the Second Division for over a decade and achieved only mid-table mediocrity before Harry Bradshaw was named manager in 1899. Arsenal was never able to challenge for a league title despite reaching the FA Cup semi-finals in consecutive seasons. In 1904, Arsenal saw themselves get promoted to the First Division for the first time in their history, but were in some serious financial trouble and were very close to bankruptcy by 1910. Sir Henry Norris bought the club that year and improved their financial standing. Three years later he moved them to Arsenal Stadium in North London. Sir Henry Norris wanted the club to get Arsenal back to the first division, but he did it controversially. One of the main reasons that the club was failing was because of their isolation up in North London. Norris moved the club to their new stadium in 1913, despite being relegated back to the Second Division after finishing bottom of the table. Norris also replaced Woolwich with ‘The’ in front of their name and by 1919, the club removed ‘The’ to become, simply, ‘Arsenal.’ The North London club returned to the First Division once World War One was over when a mistake in the goal average put them fifth. It also helped that the First Division expanded from 20 teams to 22 teams. They were also promoted because of the history of their club instead of the clubs standings with that to the likes of Tottenham, Barnsley, or Wolverhampton who occupied the final three relegation spots. Arsenal appointed Huddersfield Town manager, Herbert Chapman in May of 1925. Chapman really reformed Arsenal and really modernized them as far as their training regimes and he added numbers to the back of the shirts by the start of the 1928-29 season. Chapman had a big transfer budget and used it very wisely and was known as the Bank of England club way back in the day. Chapman utilized pacey forwards, he had winger that liked to cut the ball back to the inside and put heavy emphasis on the creative midfielder role. After the first full season under Herbert Chapman, the club finished second in the first division, which was their best ever finish at that time. Unfortunately, this was a bit of a fluke as the next few seasons they were back to finishing mid-table. Cardiff city defeated Arsenal 1-0 in the 1927 FA Cup, after a harmless shot found the back of the net, and gave the FA Cup for the first time to a club outside of England. The 1930-31 season saw Arsenal win their first ever First Division championship after some several victories throughout that season and scored 127 goals, which somehow was not the best goal scoring record for that season. Bertie Mee was Billy Wright’s successor in the summer of 1966. Mee brought a more professional approach to a club after the status of the club had slowly slipped a little as every season went on. Mee promoted youth academies players if he felt like they had worked hard and performed well to achieve it. He did bring in some experience at every position to help round out every position. 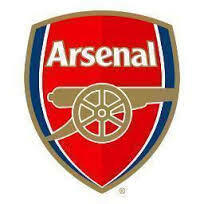 Arsenal won their first trophy in seventeen years won they defeated Ajax 3 goals to 1 in the Inter-Cities Fairs Cup. This trophy would also be their first ever international trophy. The next season would be even better because they would win Arsenal’s first ever double. Arsenal would win the title on the last day of the season when they defeated rivals Tottenham Hotspur at White Hart Lane and just five days later the North London club would defeat Liverpool at Wembley to win the FA Cup and finish off the double. Arsenal went down 1-0 in extra time before coming all the way back to win 2-1, which was another classic FA Cup final. Terry Neill, who was a former player for the club, was Arsenals youngest ever manager at that time brought Arsenal to four cup finals between the years 1976-80. Terry Neill’s side was led by Irish star Liam Brady as well as experienced players such as Pat Rice, Frank Stapleton, Pat Jennings, and David O’Leary. Malcolm Macdonald, Alan Hudson, and Don Howe were added to the coaching staff to help round out the squad. Liverpool was on a tear during those years and no one could really compete with them but his side reached three FA Cup finals in row. However, the only one that they won was a 3-2 victory over Manchester United. The following season, Arsenal played a club record 70 matches, reached two cup finals, but came up empty handed, even though they were favorites to win the FA Cup against second division West Ham. The other final that they reached was the Cup Winners’ Cup against Valencia after defeating Juventus in the semi-finals. Arsene Wenger, the current manager, became manager in September of 1996 after Rioch had been fired because of a dispute of transfer funds. Arsenal immediately improved under the Frenchman. The North London side finished in third place in his first season and won a UEFA Cup place after not earning a Champions League spot because of a lesser goal differential. That summer Wenger signed Patrick Vieira, Nicolas Anelka, Emmanuel Petit, and Dutch man Marc Overmars in the summer of 1997. With this new crop of players, as well as some of the old experienced ones, Wenger became the first foreign manager to win the English league and won their second straight double the following season despite looking like they were out of contention by December. Again Arsenal came second in 2000 behind champions Manchester United who had won the league by an astonishing 18 points. The club also did not fair to well in the Champions League for the second straight year after failing to make it out of the group stage. They lost the UEFA Cup to Galatasary on penalty kicks later on that season. The 2001-02 season was a bit different as they won their third double in their history. During that season, they were the only club to win every away game in the English league and they also scored in every single game. Arsenal defeated Chelsea that season 2-0 to win the FA Cup with goals coming from Ray Parlour and Arsenal great Freddie Ljungberg. In 2003-04, Arsenal became just the second team in English football history, and the first one being over a hundred years ago to Preston North End, to not lose a single game all season long. However, that was the only trophy that they would win that season after being knocked out of the Champions League quarter-finals and FA Cup semi-finals by Chelsea and Manchester United in successive matches. French striker Thierry Henry had been a key factor for them scoring with ease it seemed. Ashley Cole, at the time, was an emerging Left Back that played a key role in the defense despite being promoted from the youth academy recently. Right now, however, Arsenal has been in another long trophy drought without having won silverware in over 8 years now. Arsene Wenger is rumored to be leaving the club next summer some time. It will be interesting to see how the players react to the news and how it will affect this upcoming season and who will replace the long standing manager. The Championship Playoff final on Monday the 27th between two London sides, Crystal Palace and Watford, got me thinking about some of the greatest matches ever played in London. This is going to be a three part piece were I take a brief look at some of the well-known clubs in the capitol as well as some of the best matches in history. Yes, I know that some people will wonder about other note able matches, but these are the ones that I feel are most noteworthy. And I might do a few pieces about some of the clubs in lower divisions depending on the success of this piece. Queens Park Rangers, or sometimes just simply known as QPR, and is based in White City, London. They were formed in 1886 when two clubs, St. Jude’s (1884) and Christchurch Rangers (1882), merged together to form the current club. 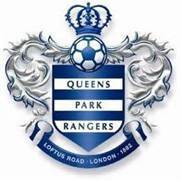 Queens Park Rangers got their name because most of the players on the squad were from the Queens Park area of North-London. They became a professional club three years after that. QPR set and still holds the record for playing in twenty different stadiums until finally settling down at Loftus Road until 1931, where they would move around a little while longer to try and bigger crowds to their games. In 1966-67, Queens Park Rangers won the third division and, thus, were subsequently promoted to division two. The club was also the first third division club to ever win the League Cup, and they did so by defeating West Bromwich Albion three goals to two. 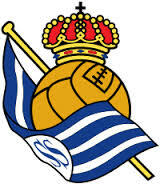 The following season, 1967-68, the received a second promotion in succession, and were in the first flight in English football in their history, after nearly 80 years in existence. Unfortunately, the Rangers only lasted that one season in the top flight for the time being, and would stay in that division for the next four years. Terry Venables took over as manager for the club in 1980. Two years later, his side reached the FA Cup final, while still playing in the second, against holders Tottenham Hotspur, but only gave up one goal during the match, the game winning goal. Queens Park Rangers would return to the first division the very next season and would finish in fifth place, which was good enough for a UEFA Cup Qualification spot. Venables, however, would go on to manage FC Barcelona the next season. Gerry Francis, who was a key player for the club in the 1970s, was appointed manager in 1991, and he guided the club to a mid-table finish. QPR were also co-founding members of the current Premier League, and finished fifth again. Francis was in charge of one of the most famous wins in the clubs history when they defeated Manchester United 4-1 at Old Trafford on New Year’s Day on live TV back in 1992. Francis’s Queens Park Rangers were relegated at the end of the 1995-96 season, and Francis resigned after an up and down reign. Ian Holloway, another former player at the club, became manager after taking over for Francis’s second stint towards the end of the 2001, but was unable to keep them up in the second division and the club was relegated to the third division after more than 30 years. The club would go into administration and would struggle for a few years with investment issues and were under a lot of boardroom controversies. Flavio Briatore and Bernie Ecclestone, Formula 1 team owners, invested in QPR to help them get out of debt and return them to the Premier League. Further investment towards the club promised the QPR faithful that they would return to the top flight of English football within the next four years. Fulham Football Club was originally started way back in the year 1879. But back then they were named Fulham St. Andrew’s Church Sunday School and the players of those days were mainly worshipers from the Church of England in West Kensington. This group of amateurs won their first trophy as a football club by winning the West London Amateur cup back in 1887. The club shortened their name the following year to Fulham Excelsior. Excelsior entered the 1893 West London league and won it on their first attempt at it, which is a pretty major accomplishment for a club that had amateur status for their first 14 years in existence. Fulham Football Club started playing in their current stadium, Craven Cottage, back in 1896 and is currently the oldest established club that plays in southern England, playing professional football. There are other clubs that are several decades older than FFC, but they are currently playing non-league football for the time being. The club gained professional status on December 12th, 1898, which was the same year they joined the Southern League’s second division. Fulham earned promotion in 1903 to the first division of the Southern League and would win the division two times in a row in a span of just three to four years later. After back to back Southern league championships in 1905-06 and 1906-07, Fulham joined the second division of The Football League. That first season in The Football League saw Fulham finish in fourth place just three points behind promotion to the first division. They would however, make a deep run in the FA Cup that season, which includes a victory over Luton Town in a match that was 8-3 away from Craven Cottage. Newcastle thrashed them in the semi-final of the FA Cup 6-0, which is still a record for the heaviest margin of defeat in this round of the cup. Fulham’s first season in Division Two would be their highest that the club would achieve in just over twenty years when they were relegated to the third division of the Football League. After finishing in 5th, 7th, and 9th, out of 22 teams, in their first three years, they gained promotion back to the second division after a very successful fourth year down in the third division. 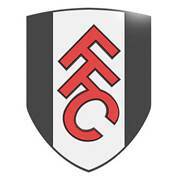 Fulham Football Club scored 111 goals, won 24 out of 42 games, including a 10-2 victory over Torquay United. After a few poor seasons back in the first division, Fulham found themselves rock bottom, 22nd out of 22 teams, thus being relegated once again from the top flight of English football. In 1958, Fulham FC signed Graham Leggat, who scored an astounding 134 goals in 277 appearances, making him the fifth leading goal scorer in the clubs history, and with his help, they finished 10th in the league, which was their highest position in the league until the 2003-04 season where they finished 9th. There was more of the same misfortune for the club until Egyptian business owner, Mohamed Al Fayed, took over and provided more financial stability for the Cottagers. Al Fayed’s first involvement as owner was that he established a two tier type of management where the club would be more successful in the long wrong. Ray Wilkins and Kevin Keegan got into disputes about who the starting XI would be and so at the end of the 1998 season. Kevin Keegan took over complete control of the managerial role and the following season, Fulham FC won a total of 101 out of 138 possible points, earning them promotion once again. Jean Tianga was put in charge a couple of years later and gave Fulham their third promotion in the last five seasons and again earned 101 points and signed a lot of young French players, including Louis Saha, which also made Fulham the first ever English football club to gain over 100 points in two successive years. The Cottagers finished in 13th place in their first ever season in the Premier League. Fulham avoided relegation the following season by winning ten out of a possible fifteen points and because of this, Jean Tigana’s contract was not renewed at the end of the season. Roy Hodgson really transformed Fulham into a stable Premier League club. However, it did not start out as planned and he only one won game in the first month as manager of the club. Fulham continued to struggle for the rest of that season, but again, managed to avoid relegation. The following season was a far better season for Fulham Football Club. Brandon Rodgers’ side finished 7th in the Premier League and earned qualification to the 2008-09 UEFA Europa League. Fulham reached the finals of the Europa League and was deemed the most successful campaign in their history, despite the twelfth place finish. Gus Mears acquired the Stamford Bridge athletics stadium in 1904 and his only goal was to turn the area into a football stadium. After an initial offer to lease it to nearby Fulham FC, he decided to create his own football club the following year. 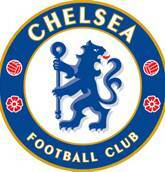 Chelsea FC was founded on March 10th 1905 and were elected to the Football League. Chelsea gained promotion to the first division in just their second season, but it was a constant struggle to stay up for the first few years of their existence. In 1915, however, the club reached the final of the FA Cup, only to lose to Sheffield United at Old Trafford. In 1920, the club finished third, Chelsea’s highest finish in history up to that point in time. Success would not happen quickly for the west London side, despite drawing big crowds to every match and signing big names to wear the blue shirt. Ted Drake, former Arsenal and England defender, took over as manager of the first team in 1952 and improved the quality of the youth academy immensely. With his constant focus on developing players from lower leagues and even amateur sides, a trophy came, the 1955 League championship cup. The 60s were a time where Chelsea, under player-manager Tommy Docherty, were so close to winning trophies upon several occasions but could not seal the deal completely. His starting elevens were built around talented youngsters that had shown great strides in the youth academy and earned their spot in the first team. They would win the 1970 FA Cup, beating Leeds United 2-1, under Dave Sexton. The 1980s were not a great time at Chelsea Football Club as the team were relegated because of the selling of star players due to financial instability. Chelsea’s form in the new Premier League was not convincing enough for their local supporters who feared that they would be relegated once more, even with reaching the final of the 1994 FA Cup. Ruud Gullit was named player-manager in 1996 and acquired the signings of several international players that helped the club reach and win the 1997 FA Cup and was a perennial powerhouse in the English Football League. The following season, Gullit was replaced by Italian Gianluca Vialli, and under him, Chelsea won the League Cup Final in 1997, the Cup Winners’ Cup Final in 1998, the FA Cup in 2000, and reached their first ever UEFA Champions League. Roman Abramivch bought the club from Bates for around £140m and would shape the club into what it is today and has continued the clubs success and has helped guide the club to their first ever Champions League and Europa League trophies, despite instability in their head manager role until now.